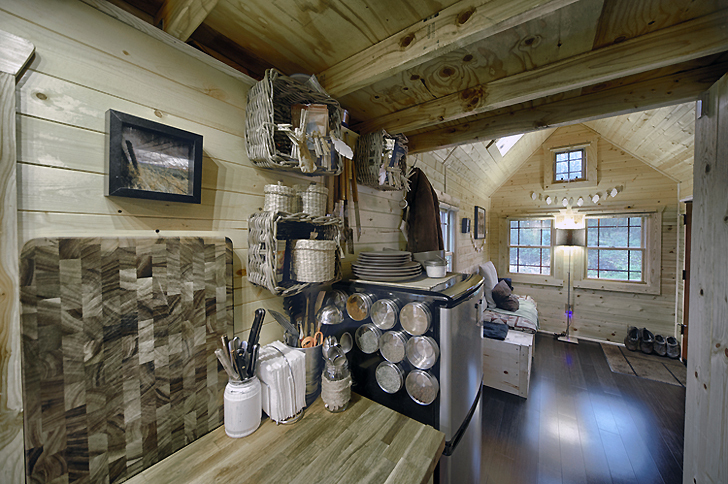 Amazing Tiny Tack House Was Built Entirely by Hand! 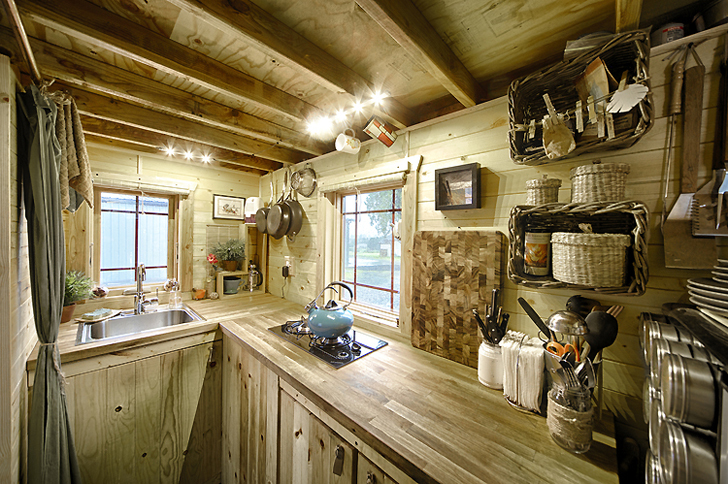 This beautiful bungalow in Snohomish, Washington is a fantastic example of <a href="https://inhabitat.com/wordsmith-charles-finn-builds-peaceful-microhomes-from-reclaimed-materials/" target="_blank">small-space living</a> - and it's also completely handmade! 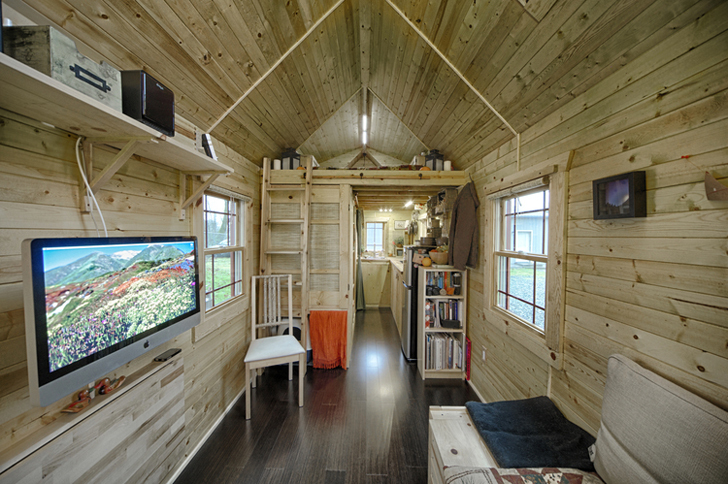 Featured on <a href="http://www.apartmenttherapy.com/malissas-handbuilt-home-small-cool-contest-189062">Apartment Therapy</a>, the <a href="http://chrisandmalissa.com/tiny-tack-house-plans/" target="_blank">Tiny Tack House</a> was built by married couple Malissa and Chris Tack. The light-filled house packs all the comforts of home into a <a href="https://inhabitat.com/meet-the-tiny-house-family-who-built-an-amazing-mini-home-for-just-12000/" target="_blank">compact space</a> that measures a scant 140 square feet! Chris and Malissa's <a href="https://inhabitat.com/tiny-house-perched-atop-a-rock-in-the-middle-of-a-river-withstands-45-years-of-floods/" target="_blank">adorable wood-clad house</a> is based on a seven-by-twenty-foot dual axle utility trailer, which enables the cottage to be moved should the Tacks decide to switch up their locale. The Tacks constructed their new home from start to finish in just seven months with 800 working hours. The DIY home cost under $20,000, and it combines salvaged materials with sustainably-sourced wood. 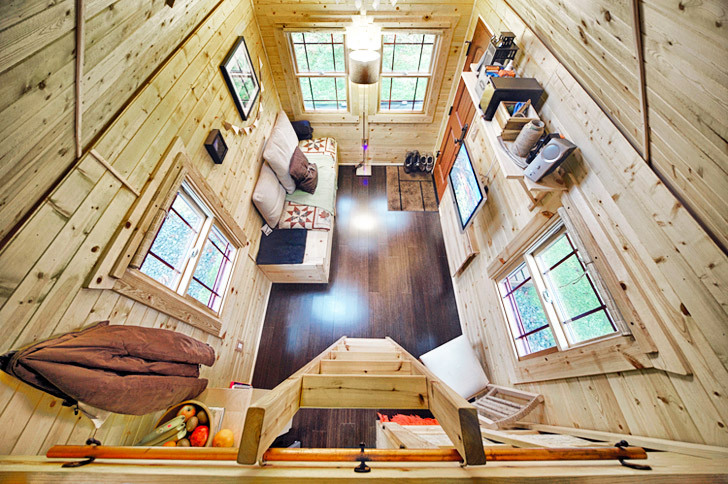 The front door opens up to an <a href="https://inhabitat.com/humble-homes-unveils-mcg-loft-tiny-house/" target="_blank">airy yet compact</a> living room. A gabled roof, skylight, and ten windows spread throughout the first floor flood the space with light. 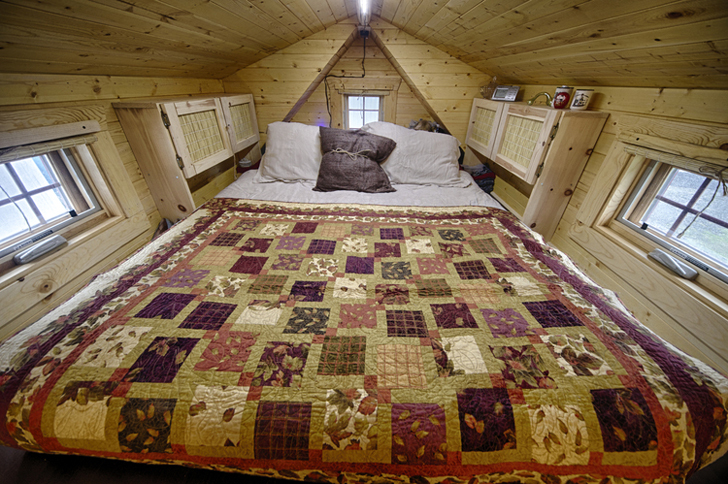 The Tacks sleep in a second floor mezzanine loft, accessible by ladder, which looks over the living room and accommodates a queen sized bed. The <a href="https://inhabitat.com/solar-powered-self-sufficient-retreat-designed-by-amsterdam-based-tjep-resembles-cupboard/" target="_blank">teeny house</a> is kept cozy and cool with natural wool insulation and cedar siding, and it's naturally ventilated (and lit) thanks to the eleven windows throughout the space. Four solar panels give the home power, and all cooking is done with a propane tank. Nestled under the sleeping loft is a full kitchen and bathroom. The kitchen has plenty of counter space, and all the accoutrements for the discerning chef, while the bathroom shower is made from a <a href="https://inhabitat.com/german-hotel-invites-beer-lovers-to-cozy-up-inside-a-recycled-19th-century-beer-barrel-bed/" target="_blank">recycled wooden barrel</a>, adding charm to the space. This beautiful bungalow in Snohomish, Washington is a fantastic example of small-space living - and it's also completely handmade! 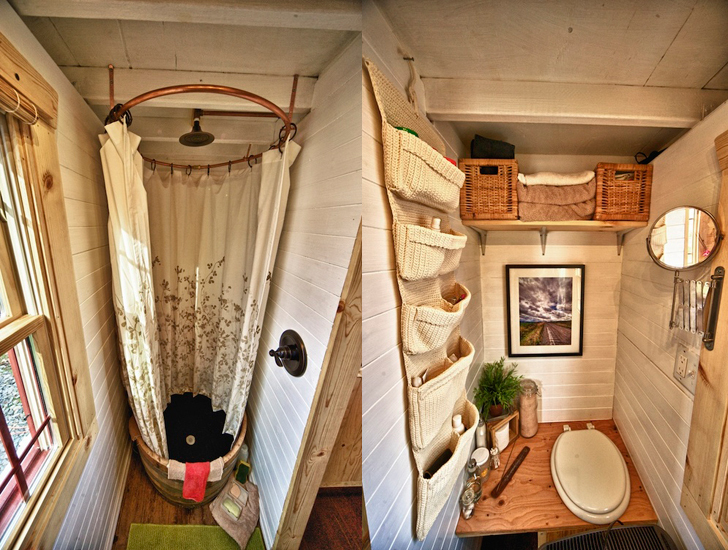 Featured on Apartment Therapy, the Tiny Tack House was built by married couple Malissa and Chris Tack. 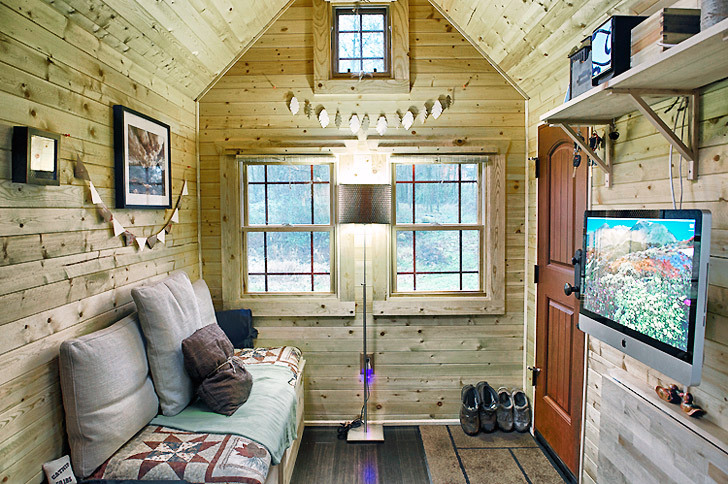 The light-filled house packs all the comforts of home into a compact space that measures a scant 140 square feet!